BOXELDER - a medium to tall relatively fast growing, short-lived tree of irregular form. 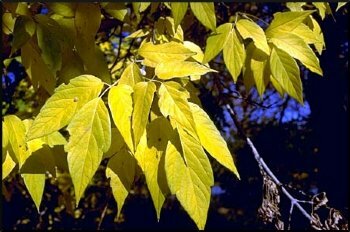 Also called Manitoba maple or Ash-leaved Maple. Native to river bottoms, ravines and hillsides in the Plains states. Can reach 40 to 50 feet in height and spread on favorable sites. Adapted to a wide range of soils and somewhat drought tolerant once established but prefers a moist, well-drained soil. Susceptible to aerial drift of phenoxy herbicides which limit its use. Useful specie for riparian restoration plantings.